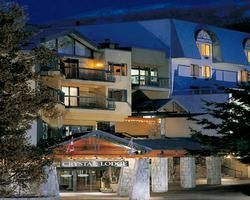 Visiting Crystal Lodge in Whistler, B.C. is the perfect getaway for the entire family – including your dog! Beautiful mountains feature downhill and cross-country skiing in the winter while any of the three designer golf courses are a great way to spend the morning during the summer. Large spacious rooms, relaxing amenities, and a myriad of on-site activities make the Crystal an amazing vacation experience. These Whistler timeshares for sale include a variety of room styles at the Crystal Lodge. 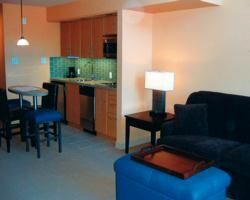 With over 158 different units to choose from, there are accommodations for every situation. Traditional rooms include single, queen and king size beds while deluxe studios offer more room and a microwave and mini fridge. The suites include a pull-out sofa in addition to the beds and feature two bathrooms. If you will be traveling with a large or extended family, consider the large suites with either one, two or three bedrooms. All rooms come with free Wi-fi, mini-bar, flat screen television, and luxury bathroom. On-site amenities are exceptional. The Old Spaghetti Factory and Starbucks located in the resort make finding a bite to eat simple and quick. Both indoor and outdoor heated pools with hot tub provides an excellent way to relax after a day of skiing or shopping in the quaint village. The fitness center is equipped with everything you need for a workout in the morning before starting the day and the sauna will help you unwind and relax before heading to breakfast or dinner. Outside the resort, guests enjoy hiking tours, horseback riding, tennis, swimming, biking, fishing, and kayaking. With over 8,100 acres of skiing, you will not be disappointed with the beautiful scenery and outdoor fun. Children can enjoy the Bounce, where half a dozen trampolines offer a way for the kids to burn off some energy, and The Core where children can experience rock climbing in a safe environment. When deciding where to travel for your next vacation, consider Whistler timeshares for sale at the Crystal Lodge. Families who visit often schedule their next vacation before leaving after experiencing the fun and excitement of a well-designed resort. Since pets are part of the family, bringing Fido along to the Resort makes this vacation even more enjoyable. Get ready for the breathtaking views and the comfort and luxury of a stunning resort. Contact Crystal Lodge Specialist Today!